You don’t always have to undergo substantial interior renovations to enhance the appeal of your interior space. Sometimes, even the most subtle rearrangements can have a large impact on the overall look and feel of your interior space. Invest in a beautiful home addition that’s sure to bring energy and warmth to your indoor space by turning to Village Carpets Flooring America for window coverings in Santee, CA. Liven up the look and feel of your home when you fit any room with one of our stylish window treatments. At our store, we proudly feature an extensive selection of window coverings for homeowners throughout the area. With our home interiors product collection, it’s easy to create a fresh style throughout your space. Skandia Window Fashions products and choices from industry leading brands. Shop with us to discover all of the interior design possibilities available to you. Are you looking to breathe new life into your existing space? While you may be tempted to take on a full-scale remodeling project, you can easily achieve a dramatic change without undergoing a substantive home renovation. More and more, homeowners recognize that windows play an integral role in the overall look and feel of a space. With a simple addition of window treatments, you can create a standout style that complements the look of any room. Transform your windows into an eye-capturing focal point when you choose one of our stunning collections of Hunter-Douglas blinds and shutters. Our collection of treatments includes classic and contemporary designs that fit the tastes of even the most discerning homeowner. Our store carries a wide variety of different products from top names. As a brand-name retailer, we are proud to serve as your source for window treatments that fit with rooms of any size. Whether you are upgrading your bathroom, bedroom, or entryway, you are sure to find something you love for every part of your home. Whether you are looking for effective light control or you wish to enhance your décor, you are sure to find a selection that suits you. As always, our knowledgeable sales team is available to discuss the features of each of our window coverings, so you can be sure that you’re choosing the right products for your needs. Enjoy peace of mind that your family and possessions are safe when you use our window treatments. Adding blinds and other coverings to your windows will allow you to keep peering eyes out. With our easy-use blinds and shutters, you are free to control how much light enters your space. Keep sunlight from pouring into your space can keep your furniture from fading, allowing it to stay in its best condition longer. Share your design aspirations and functional needs with our skilled team of sensible specialists and we’ll see to it that you find the right shades or other window coverings for your space. Why Choose Our Custom Window Enhancements? The right window treatments are more than just decorative home additions. They also serve a functional role, protecting your home from damaging UV rays as well. Allowing the sun to stream through your windows puts the beauty of flooring and furniture at risk. Avoid the consequences of sun-bleached flooring and furniture, improve your structure’s insulating abilities by fitting your space with window coverings. Make your home as charming as the rest of your home by taking better control of your natural lighting and your structure’s insulation with one of these unique features. Speak to one of our knowledgeable consultants to ensure your new interior installation perfectly meets your aesthetic and functional needs. 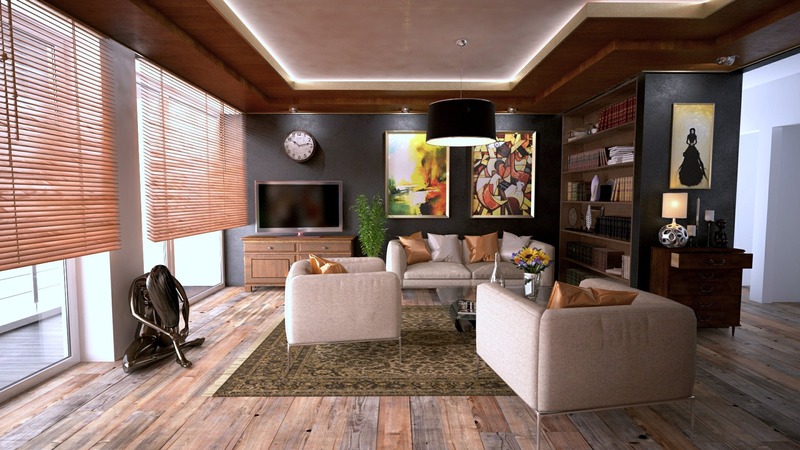 You know that as a homeowner, you deserve nothing less than the very best in your indoor space. When you shop with us for your window coverings and home interiors, you will enjoy access to a complete collection of products from some of the top brands in the industry. We only stock blinds, shutters, and other coverings from proven names, including Skandia and Hunter Douglas. These reputable manufacturers are known for integrating the latest aesthetics and technology into every product. We consider it our obligation to ensure you are completely satisfied with your choice window enhancements. Should you need assistance choosing the right fit for your home, our store associates work with you to find the perfect balance of style and function. No matter what option you choose from our available lines, you can feel confident knowing your investment is sure to satisfy. With our immense window covering selection, it will be easier than ever for you to upgrade your space without overspending. Contact us to learn more about the various high-quality window treatments available to you. We proudly serve homeowners in Santee, La, Mesa, Alpine, and San Diego, California, as well as the surrounding areas.